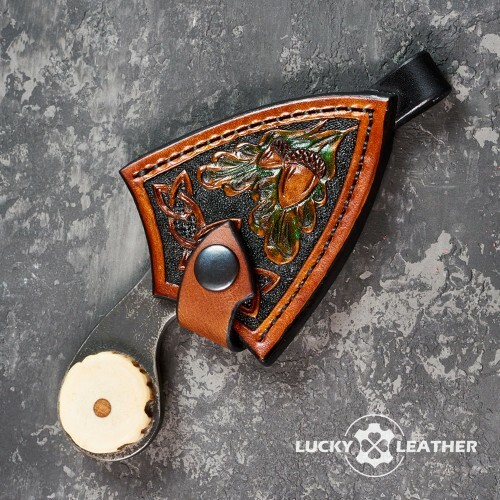 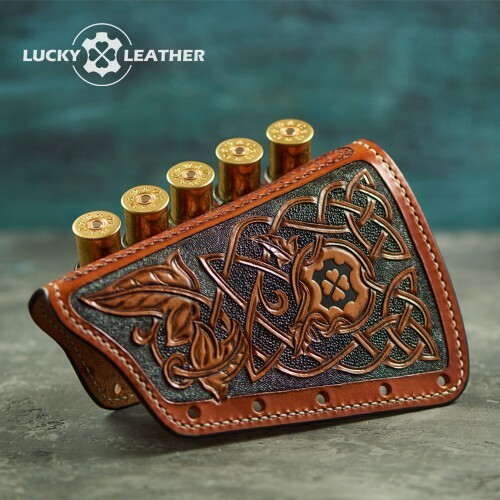 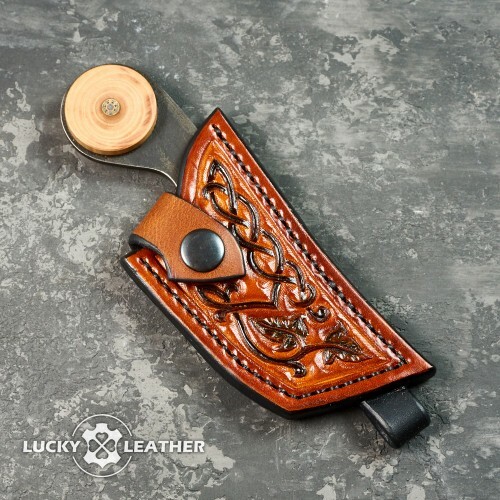 The leather axe scabbard with embossing and special belt fixation. 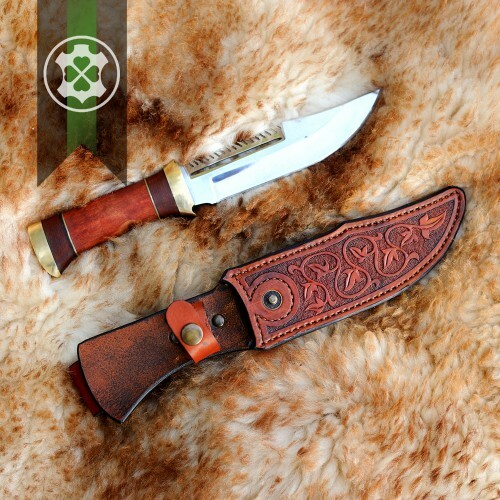 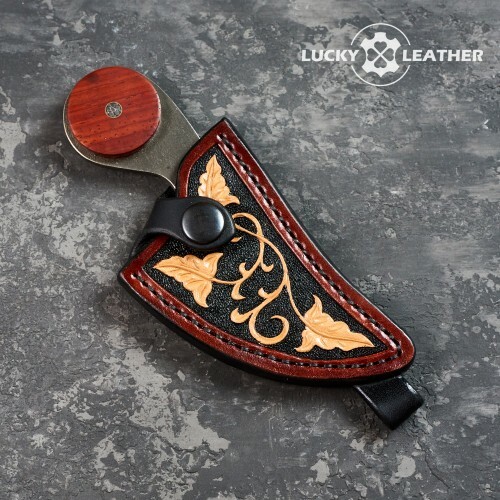 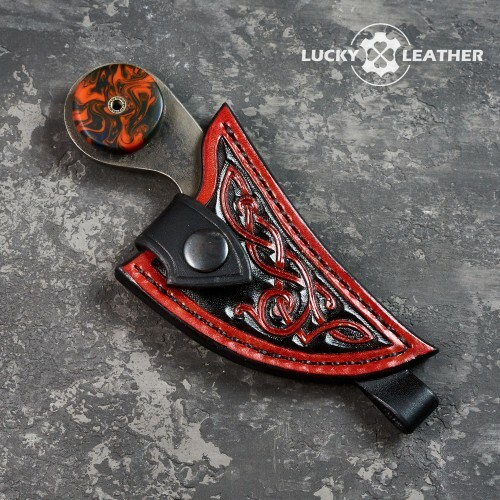 The leather axe scabbard is created individually for the specific shape of the axe. 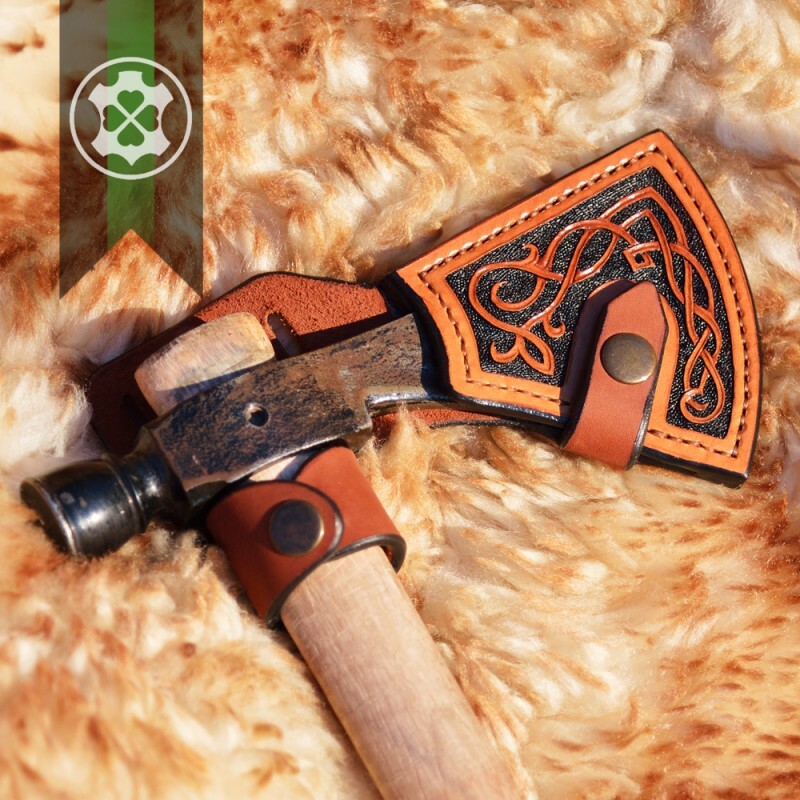 An interesting feature of the scabbard is the belt fixation: you can put on the axe with the handle up or down. 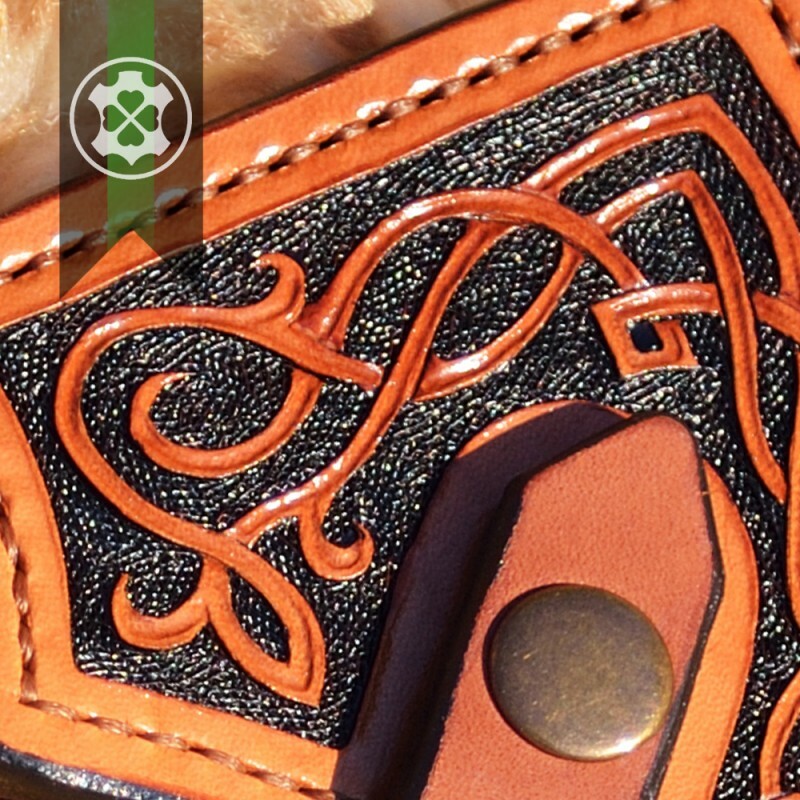 You can order handmade embossing.